Up for sale is this Microsoft Xbox video game in Very Good condition, includes original Disc, Art work, Manual & case. We have been selling online since 2002. All DVD's, CD's, Blu-ray's & Video Games are tested & guaranteed to work. Activision's take on the blockbuster hit Grand Theft Auto III casts players in the role of a Los Angeles detective bent on revenge. As Nick Kang, players will comb the streets from inside a variety of vehicles as they embark on a series of 20 missions in a storyline inspired by Hong Kong cinema. Unlike Grand Theft Auto III, however, players are working for the law rather than against it. Missions range from stopping robbery attempts to arresting perps based on tips gleaned from informants, and players are free to leave their vehicles at any time to continue the mission on foot. Players will also be able to complete 100 sub-missions outside of the main story to earn extra cash and to further one's ranking and reputation. 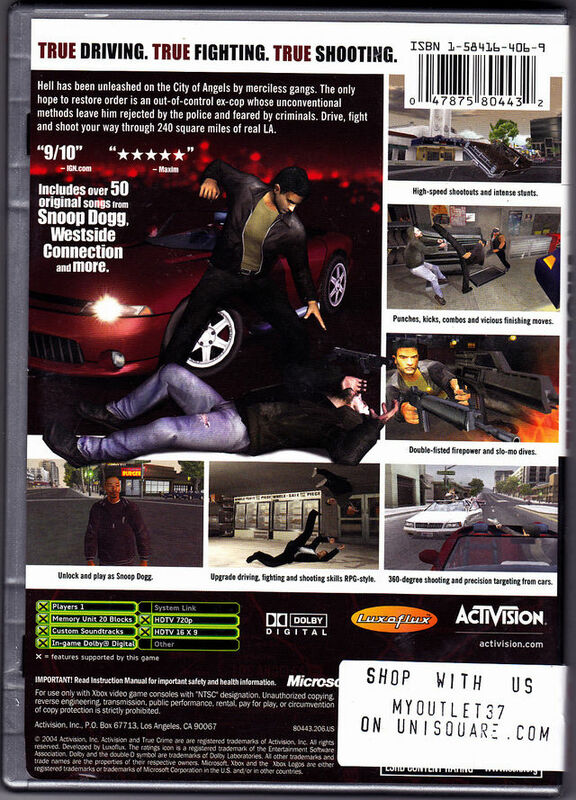 Various shops such as gun ranges, dojos, and auto simulators allow players to improve their character's skills in hand-to-hand combat, driving prowess, and in using firearms. 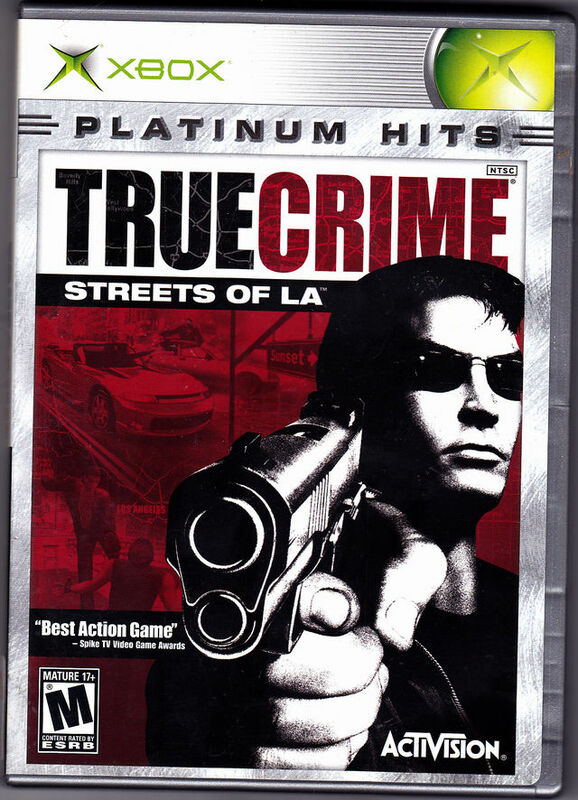 Developed by the team responsible for the Vigilante 8 series of vehicular combat titles, True Crime: Streets of L.A. features an estimated 240 square miles of Los Angeles terrain. Each mission can be completed in a number of ways, with consequences for each action. Game True Crime: Streets of L.A.
Branching story line develops according to player's success or failure in each assignment .